I quit smoking eleven years ago and am very happy that none of you kids have shown any interest in even trying cigarettes. A couple of you, I know, if you ever try it will get sucked into the habit. Nicotine is insidious and extremely powerful. A brain scientist once told me that our brains light up all over in reaction to nicotine–it’s like a brain bomb. It has more power on our brains than… everything else. That is why I urge you to avoid it in the first place. Seriously, just steer clear. 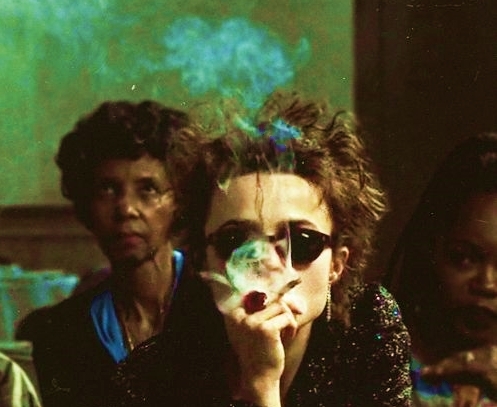 Despite all the well-known risks and revolting qualities, I loved smoking. Cigarettes were the only thing that ever caused me to steal (I stole cigarettes from your father and probably other people when the opportunity presented itself). I lied about it, too, which is utterly contrary to my personality. I switched to unfiltered Camels when I couldn’t afford two packs of Camel Lights every day and I’m fairly certain that at some point I walked a mile for a Camel. I smoked when I had pneumonia and couldn’t completely quit when pregnant. I know, I’m a monster. Seriously, I know. There are a few things to keep in mind about quitting smoking. First: don’t stop quitting. People who successfully quit, continue to quit dozens (and dozens!!) of times. It’s like trying to find your way through a maze that keeps dropping you back at the starting point, or maybe you could think of it as a video game. When you meet up with a troll, you need to have your bribe ready. Each time you may get a little farther or learn a tiny lesson. And finally, after doing all that for three months, I had a nervous breakdown. Yep, I had to have a nervous breakdown to get through the entire process. Fortunately, not everyone has to go through that step. I had quit so many times using so many methods and it was torture every time. The biggest lesson that took the longest to learn was that I had no ability to have “just one.” Your brain will turn itself in pretzels to try to convince you of this lie, but “just one” isn’t an option for an addict. Because the final quitting experience was so profoundly painful I could call that pain to mind whenever I had a moment of temptation. I needed every tool in my toolbox, I used the pain of the experience, and I very, very passionately did not want to model smoking for you guys a minute longer. It makes me really happy that you don’t remember me as a smoker. So if you find yourself needing to give up cigarettes, just start quitting and keep quitting. If I can do it, anyone can. Yes, I have over $29,000 that wasn’t spent on tobacco and no, you can’t have it. Thanks – I’m working on taking the plunge myself (again). My stop date is the 11th. So far I’m two days in to Champix and waking up thinking positive thoughts (which feels horribly strange) and today I started doing Morning Pages again, with “reasons”. And “options” – which is harder. I would LOVE about 40 packets of those cinnamon toothpicks you find all over in the US, but not here. Hmm. I might put a plea up for someone to send me a bunch, ASAP! YOU CAN DO THIS, SPIDERS!! The power of tiny lollipops cannot be denied. Yeah don’t have them here either. I need toothpicks. I may never understand how WordPress connects posts. It may be the only thing that utilizes categories.. or not!! Hi! I found my way here by reading the comments section of a Nerd Fitness article about the same topic. Yeah, it all truly boils down to that one thing, everyone I believe says the same, to quote Joel Spitzer – Never Take Another Puff! ; for example. But, I keep doing that again and again, from time to time though. I keep coming back to “one cigarette”. I don’t get back to actively smoking because it’s not hard to not do it because of my environment – namely, I live with my boyfriend who’s a non-smoker, and I need to hide and then wash teeth afterward for ages, even though it seldom saves me from him sensing my breath that still smells like an ashtray. And I really thought I got it all figured out, the whole quitting thing. I keep doing that again and again but keep lightning that “one last” at one point. I want to try some mindfulness training audiobook now, frankly for almost the only reason being this problem. I figured at least it can’t hurt, and to not treat it as a crutch (I’ve learned that treating anything as a crutch to your quit is bad). I want to hear your opinion on it. I also go really mad during the nicotine craving hits, which are rare, but they usually lead to a catastrophe called lightning up a cigarette, and I really don’t want to do that anymore. I don’t know what to do then. How can I resist that damn urge when it strikes all of a sudden? Oh boy, do I remember that feeling!! You may have a different experience, but I used ALL the crutches. Handfuls of lollipops, meditation, drinking milk when I had a craving (because to me milk and cigarettes were the worst combination ever). It helped me most to recognize that the craving will pass either way. Maybe a little notebook where you jot down how you feel and where you are and then check back in 15/30 minutes and do it again. I’m hard headed and need proof, so maybe you do too!! Hang in there, Nina!! Next PostNext Where can I go online when I am having a bad trip?